Welcome to Chess U® Chess Game Software! 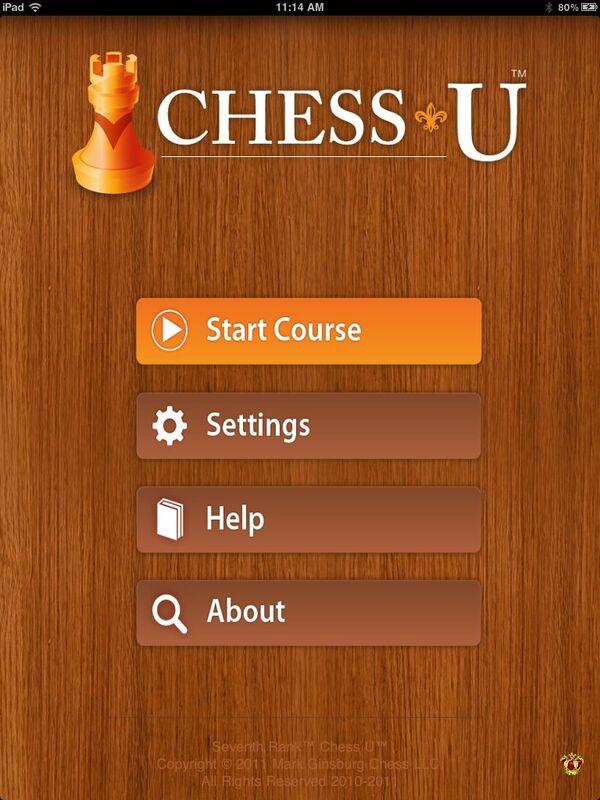 The simplest app available for learning Chess, from beginners all the way to tournament players! This groundbreaking product allows you to play over chess games on the iPhone and solve quizzes in order to gain Chess Mastery. 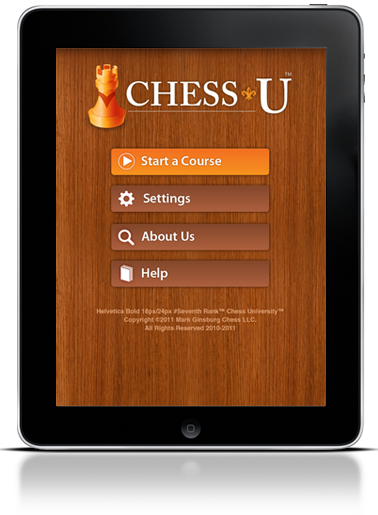 We offer a free edition of Chess U® - try it today! If you like it, try our additional volumes covering openings, middlegames and endings! The quizzes are carefully selected and fully annotated. Each lesson contains pointers for further recaps. 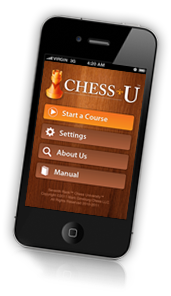 Chess U® includes the free course Learn Chess! which teaches you the rules of Chess. Further courses teach tactics, strategy, and checkmates. The quizzes are carefully selected and fully annotated. Each lesson contains pointers for further research as well as recaps. Top games from the U.S. Chess League and major International tournaments selected, presented, and explained.